Professional Driveway, Patio Cleaning And Sealing Services. 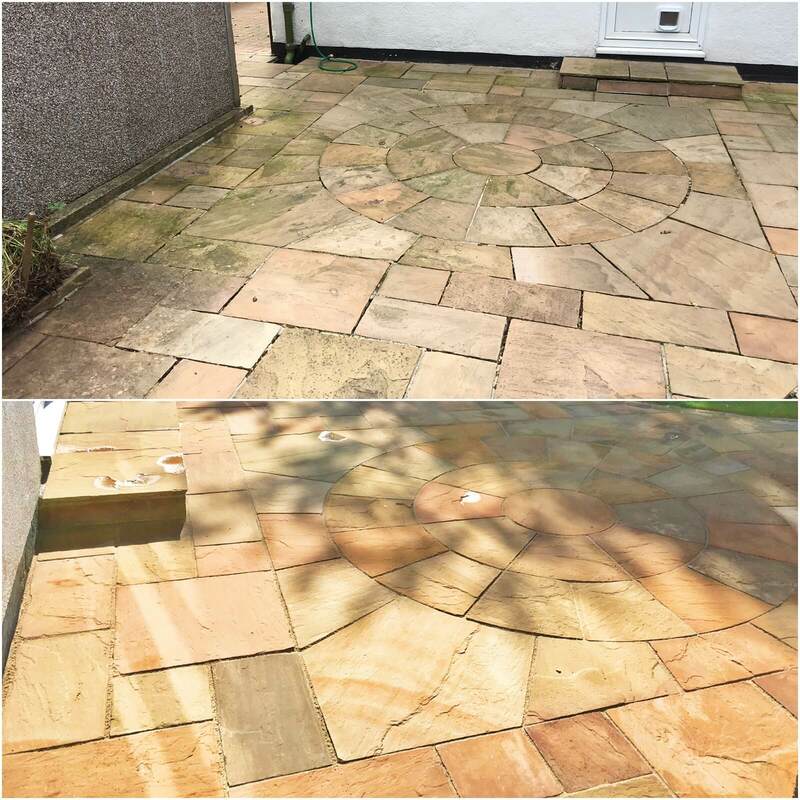 We can fix and restore your old patio at Abel Maintenance offer a specialist patio cleaning and patio restoration service. 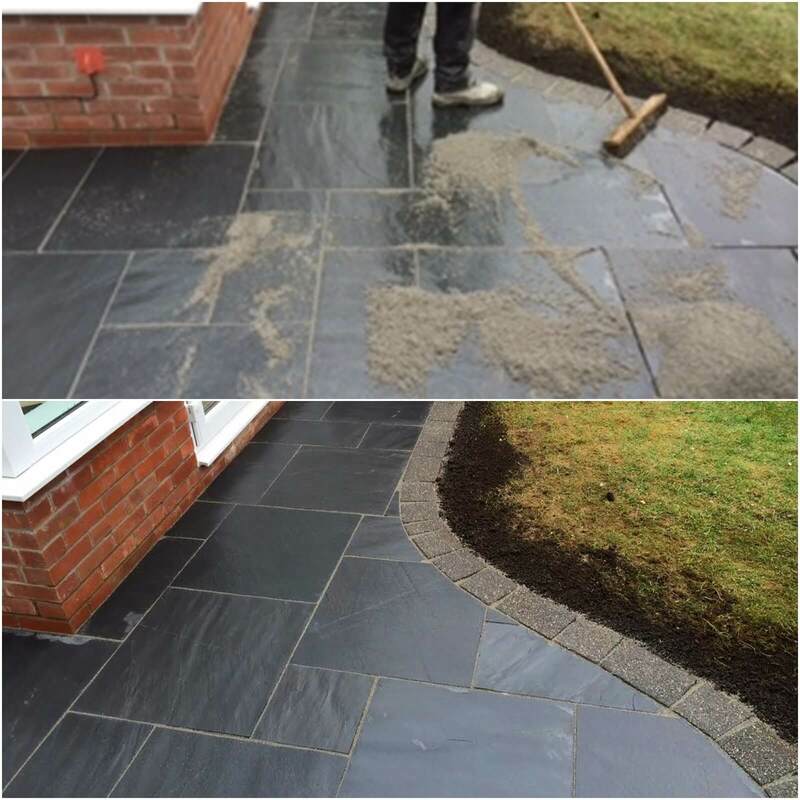 Regardless of the type of material your patio was laid in, Imprinted Concrete, Block Paving, Flagstones or Sandstone we offer the following services. 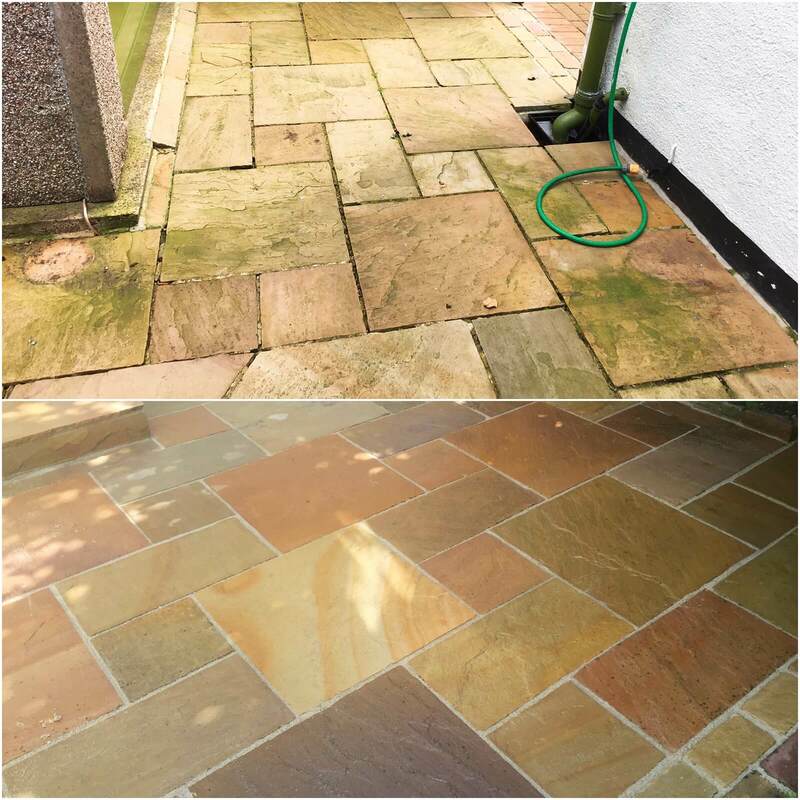 Application of patio sealer… Once the patio has been thoroughly and professionally cleaned and restored, the application of sealers will waterproof the surface, reduce colour loss and give long term protection from the elements. If you are looking for a professional paving and patio cleaning company, then you have come to the right place.We have a special team of skilled men who carry out all our patio cleaning projects. 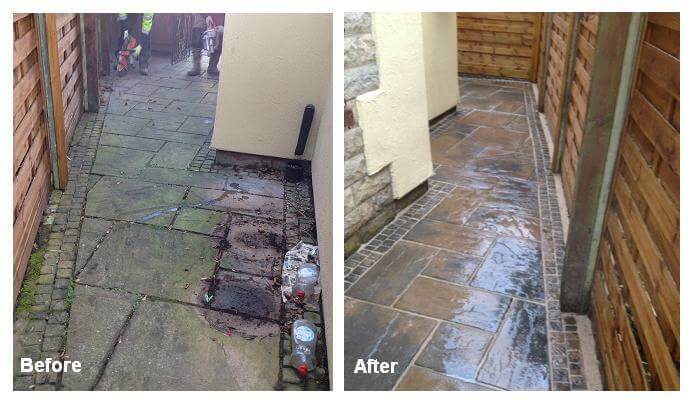 We can take an old looking patio and turn it into a brand new looking patio. 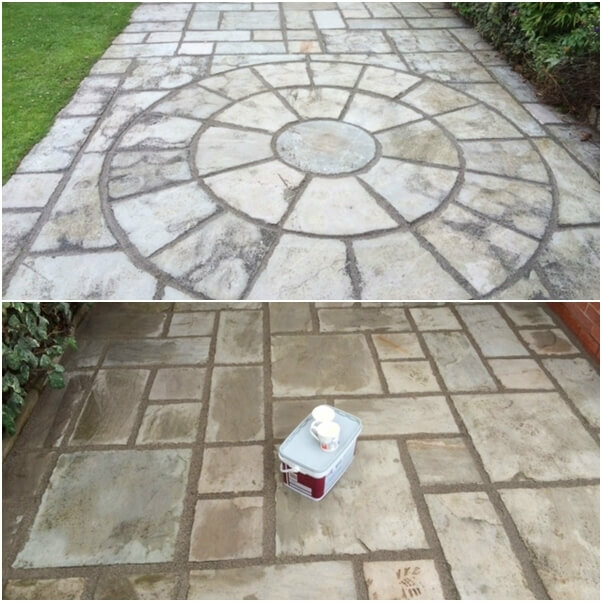 Below is a before and after a photograph of a project that we have cleaned after 13 years of installation. Less risk of costly future repairs, inhibits weeds, grass and moss growth, reduces the loss of sand from power washing, enhances the colour of paving, our driveway sealers do not blister or peel, weather resistant, proven to prolong the life of paving, oil/stain resistant properties.